Statistics Canada's 2018 International Methodology Symposium, "Combine to Conquer: Innovations in the Use of Multiple Sources of Data," will be held at the Sala San Marco Event and Conference Centre (ten minutes from downtown Ottawa) from November 6 to 9, 2018. Increasingly, statistical agencies and researchers are exploring ways to combine survey data, administrative data, big data and other alternative data sources to overcome the limitations involved when these sources are used separately. This emerging paradigm coincides with the modernization of statistical agency infrastructure, requiring new thinking and innovative methods to integrate different data sources and evaluate their quality. All members of the statistical community—including private organizations, governments and universities—are invited to participate. 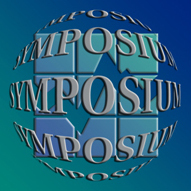 The symposium will include workshops, plenary and parallel sessions covering a wide variety of topics. Should you wish to submit a contributed paper, please send your proposal by email to STATCAN.Symposium2018-Symposium2018.STATCAN@canada.ca by May 11, 2018. It must include the following: title, an abstract (in English or French) of approximately 250 words, three to six keywords and your full contact information. We will contact you no later than May 25, 2018 to inform you whether or not your proposal is accepted. Selected contributors must submit the final version of their presentation (in English or French) by September 7, 2018. Conference proceedings will be published online. The final paper must be sent to us by January 11, 2019. Visit our web site regularly to obtain further details about the program, registration, accommodation, tourism information and more.